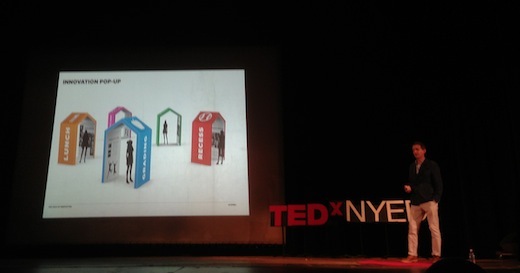 The theme for the fourth annual TEDxNYED conference was "Inside-Outside." 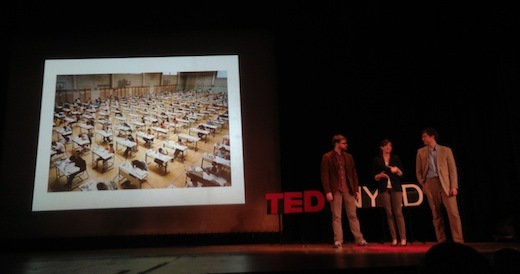 Presented in the majestic 91-year-old auditorium of the Brooklyn Technical High School, on Saturday, April 27, 2013, the series of talks focused on learning inside and outside of the classroom. Or, to quote Jonathan Soma, one of the day's presenters, the motif can be flipped to view outward-facing education as earning grades for college and for parents, and inward-facing education as nurturing life-long hobbies and self-betterment. 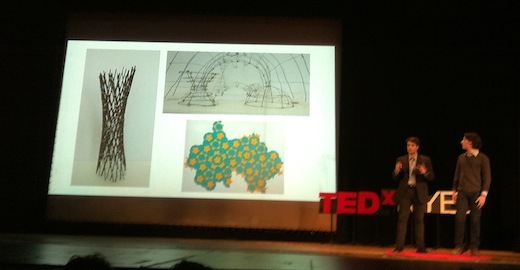 If you were unable to attend the gathering, the talks will soon be posted online. Here's our recap, which highlights just a few of the ideas that struck us as worth sharing. 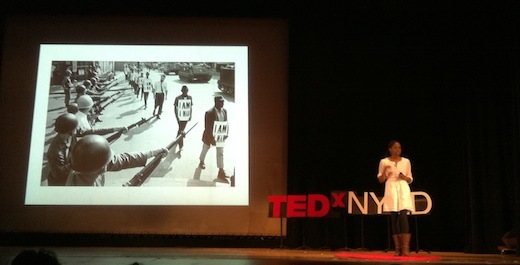 Also, be sure to check out the Twitter #TEDxNYED archive for a lively real-time record. Douglas Rushkoff (@rushkoff) - "Present Shock: When Everything Happens Now"
In a world that is constantly connected, we need to exploit a peer-to-peer culture of learning. Most digital interaction is based on scripted "Read Only" performances in what is actually a "Read-Write" world. 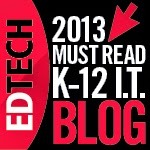 One of the best roles of online learning is using computers to teach computers. Programming is about engineering, liberal arts, and culture. Sabrina Stevens (@teachersabrina) - "On Love, Democracy, And Public Schools"
What makes you respected as an independent school educator makes you a dissident in a test-obsessed public school. We keep waiting for the "justice fairy" to fix our schools. This is the wish that "somebody" is to blame and "somebody" needs to do something. Disempowerment is a cooperative act, while empowerment is an act of love that requires teaching. Ahmed Abdelqader & Jason Nadboy - "Math Matters"
Students teaching other students, from high schoolers to middle schoolers, can produce inspiration in math enrichment. An ambitious spirit can kindle curiosity through game theory, graph theory, and magic squares. Trung Le (@lecannondesign) - "The Third Teacher"
A school's environment can be emblematic of a desire to inspire thinkers. The design of the physical space can enhance the ecology of learning. 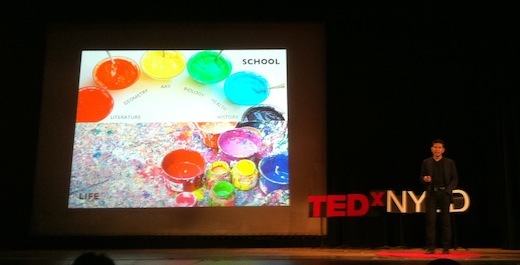 Many schools currently treat learning as separate buckets of paint, but life is a messy splatter of hues. With information free everywhere, the value of school is no longer the content but the experience. Deep learning powered by technology leads to transformation. Gary Stager (@garystager) - "Invent To Learn: Making, Tinkering and Engineering In The Classroom"
Young people have a remarkable capacity for intensity. Why do schools, therefore, insist on whole-class instruction and full-frontal teaching, killing flow with too many transitions? "Settle-down" time really means "wait for the next instruction." Those who remember a time when classrooms included play, gerbils, and imagination have a responsibility to remind their colleagues and inform their students, starting immediately. Complexity is possible when we make simple things easy to do. Stephanie Rivera (@stephrrivera) - "Teacher Under Construction"
When you dreamed of being a teacher, did you dream of being a doormat? How many educators have silently sent in their resignation letters? Don't ignore the negative stereotypes of teachers. Speak up, or others will speak for you. Learning is not a standard and teachers are not puppets. Kristen Swanson (@kristenswanson) - "Viral Learning"
Viral ideas are small, infectious notions that replicate inside living organisms. If learning is participatory, personal, and powerful, it becomes shareable and spreadable. It takes on a feeling of epicness. Jen Messier & Jonathan Soma (@bkbrains) - "Brooklyn Brainery"
If you throw a rock, you can find an enthusiast or expert on almost any topic. The challenge is convincing them they can be teachers. The only credentials necessary are passion and a connection to the audience. 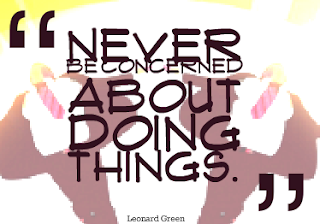 The surprising truth is that everyone is interested in everything. You just have to give them the avenue to learn it. Audrey Watters (@audreywatters) - "The Laws Of Educational Robotics"
Robots today can do almost anything, but can they recognize human cognitive differences? Computers can automatically grade essays and assess understanding, but can they teach us how to learn? If computers read as well as humans, it's because we've taught humans to read like computers. With no rules to govern them, will educational robots harm our humanity? Justin Lanier, Paul Salomon, & Anna Weitman (@mathmunch) - "Math Munch"
What is the nature of math discovery? Does it take a genius? Is the culture of math off-putting? 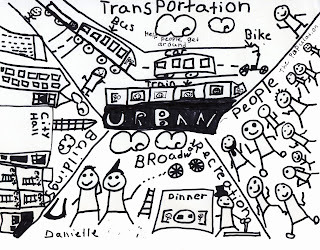 We can draw kids into the creative experience with puzzles, art, and imagination. We can tell children that their mathematic, literary, and artistic works have a place in the greater world. Maurya Couvares (@mauryacouvares) - "ScriptEd"
We must give low income students the options of careers in computers, where they can both use technology and create technology. Mentored by experts in the field, coders become creative. Kids cannot rely on a select group of insiders to design their futures. Children must be the creators in their communities. Reshan Richards (@reshanrichards) - "Don't Control The Learning Experience"
Learning is spontaneous and complicated. Despite all those who try, it cannot be controlled. The biggest mistake in education is thinking grades are the same as assessment. Open-ended tools and user-designed applications can stretch the bounds of what is possible. We should not try to control the learning experience, but guide it. Don Buckley (@donbuckley) - "Building A Culture Of Innovation"
To build a culture of innovation, you need the right people, the appropriate incentives, and a common language. Through design thinking and ideation, you can survey the landscape and find areas of opportunity. Schools can even build innovation "pop-ups" to share research and proposals that rethink lunch, homework, recess, and grading. We'd like to thank all of the experts who made it worthwhile to spend an unseasonably sunny Saturday inside a dark theater. The event organizers, such as Patrick Honner (@mrhonner) and Basil Kolani (@bkolani), also deserve our appreciation for their hard work and unruffled manner. If you happen to be in the Fort Greene neighborhood of Brooklyn, we recommend the iced coffee at the charming Cammareri bakery. 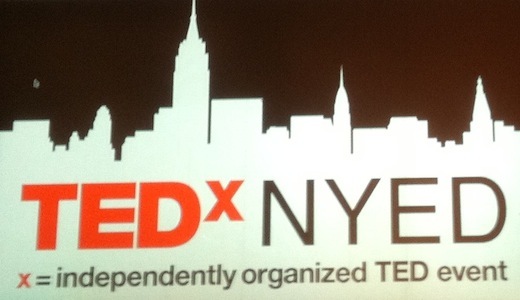 By the way, here's the rundown of last year's TEDxNYED 2012, if you want to compare the affairs. We've been using motion infographics more and more in our classrooms. These animated visuals can help explain the complicated world of economics, the effects of adolescent stress, the inequality of wealth, and the fluidity of language. 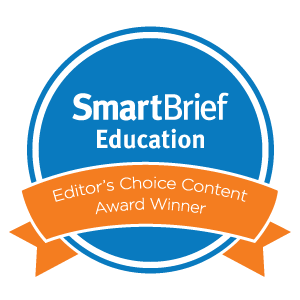 Mesmerizing, computer-generated videos can grab our students' attentions and, as a result, can illuminate relevant teaching points in colorful, appealing ways. One of the emerging uses of motion graphics is in the joint world of sports and science. Coaches and athletes are looking for ways to capture their teams' performances and gain a leg up on the competition through technology. Kinesthetic and physiognomic sciences are revealing dynamic representations of the human form. The visually arresting video above is a prime example of graphics' viral appeal (h/t @Storybird). Created by Memo Akten and Quayola, it renders the movements of elite athletes into digital reverberations and, in doing so, creates fascinating abstract art. The clip reminds us of ESPN's groundbreaking series about Sports Science. These popular segments overlay live action shots of professional athletes with data, figures, angles, and calculations. The physics and biomechanics of gymnastics, for example, come to life in the classroom through the video below. It would be a prime opener to a biology or health lesson. The Coach's Eye app for tablets seeks to document similar feats through slow motion recordings and editing tools. Also, the Graphics Mafia site serves as a clearing house for creators of sports motion graphics. One of the vanguards of interactive graphics, The New York Times, features a slightly different but highly engaging animation of the entire history of the Olympics 100-Meter sprint. Even if you are not a fan of international sports, the craftsmanship of this video tells an enthralling story about running history and human evolution. 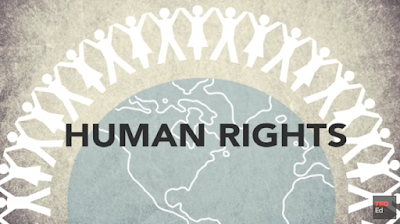 For more examples of well-designed image films, check out Video Infographics. 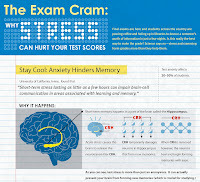 In addition to fêting poetry and financial literacy, April also honors Stress Awareness Month. 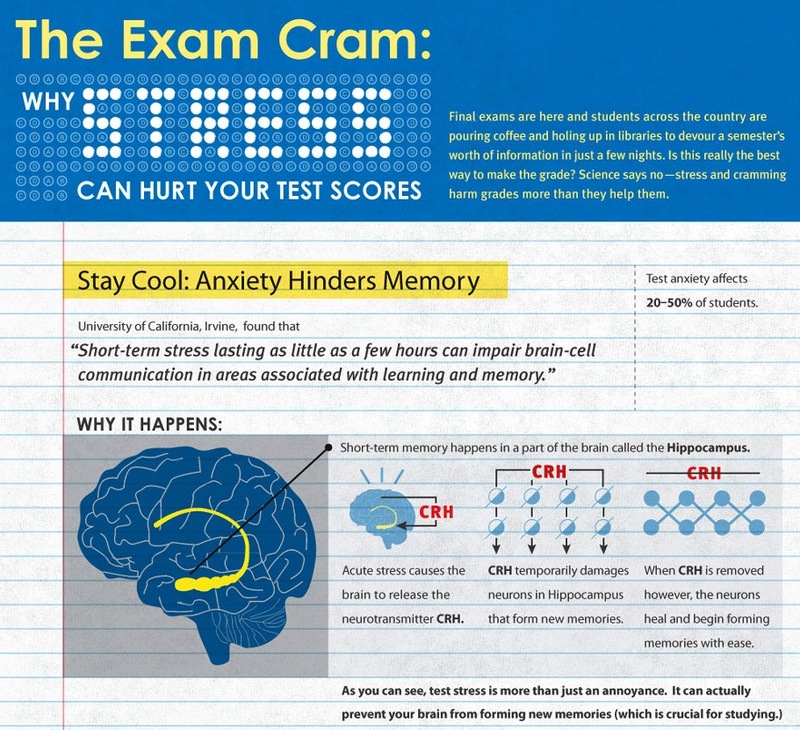 In our classrooms, we notice more and more that stress can be debilitating for students. In fact, we spent much of our transition night a few weeks ago trying to assuage families' apprehensions as their children get ready for middle school. 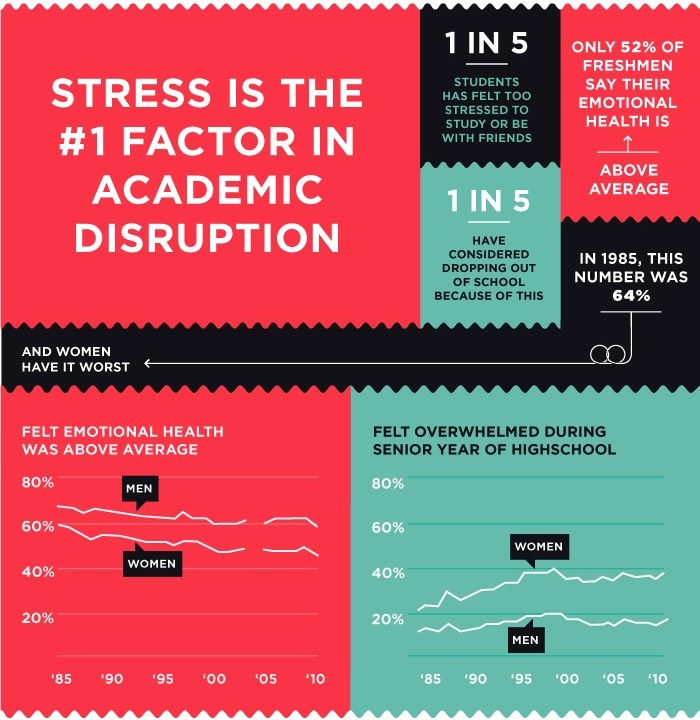 News outlets have reported that in higher education, stress levels are at an all-time peak. Students across the board may actually be more anxious now than during the Great Depression. Interestingly, gifted children may be more susceptible to strain, because of possible social isolation or class boredom. The number one cause of nervousness in schools is the undue emphasis on standardized testing. Children realize quickly that their days spent doing test preparations place an enormous weight on the eventual tests themselves. Many of the nationwide opt-out movements are springing directly from a desire to avoid putting manufactured test pressure on young learners. 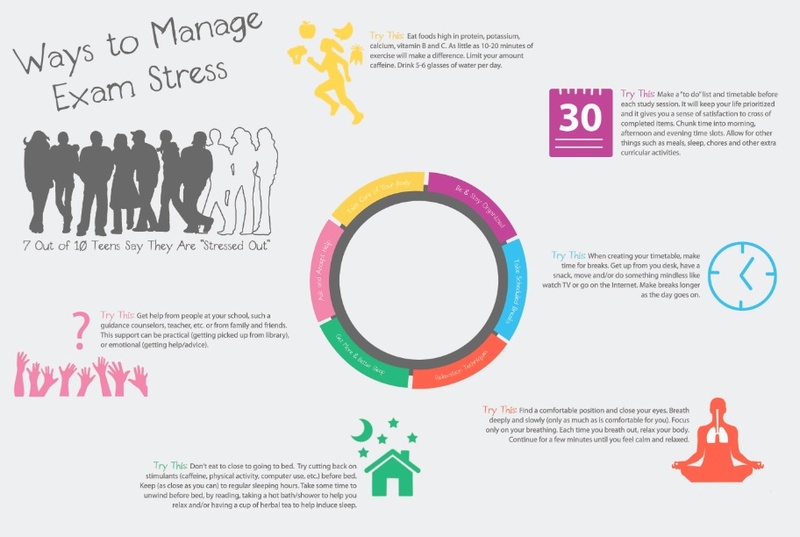 Motion Infographic - Stress from Shaun Chan on Vimeo. The motion infographic above highlights startling figures about the extensive effects of stress. Designed by Shaun Chan using statistics from the Global Organization for Stress, the video presents a compelling case for reducing anxiety in our students. For learners, a primary trigger of stress is uncertainty. When children are thrown into the educational deep end with no guidance or with vague instructions, they panic in trying to meet expectations. These expectations create other sources of anxiety for students, particularly in the academic grades that some parents presume their kids should be able to attain. The best cures for student stress are adjustments in pace and tone. By giving more time for everyday activities and by allowing an appropriate rate for understanding, teachers can alleviate situations that cause agitation. A lighter tone from teachers and parents can also have a salubrious effect. Something as simple as relaxing and smiling can inspire children to loosen up and enjoy learning. 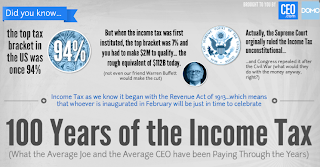 Who knew that paying income taxes had its centennial in 2013? Could it be that most adults would prefer not to remember? For that matter, how many of us realize that in 1913 the tax code was only 170 pages long, as opposed to 17,000 today? Exactly! 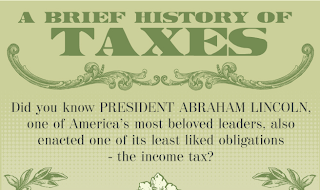 Well, in 1913, the 16th amendment was passed, giving Congress the right to impose a federal income tax. Students hear a lot about taxes, but most don’t understand just what “tax day” is, or for that matter what “income tax” really means. Since financial literacy is part of our history curriculum, it made perfect sense to include this topic as part of their learning. We took the opportunity to talk to our students and explain income tax withholdings and the reasons why United States citizens are required to pay them. Needless to say, they were quite surprised at how taxes are taken out of earnings, particularly as income graduates through the tax brackets. Of course, as the discussion progressed, the political opinions and remarks reflected the parental sensibilities of the students; but all in all, they were quite interested in the way the process works. 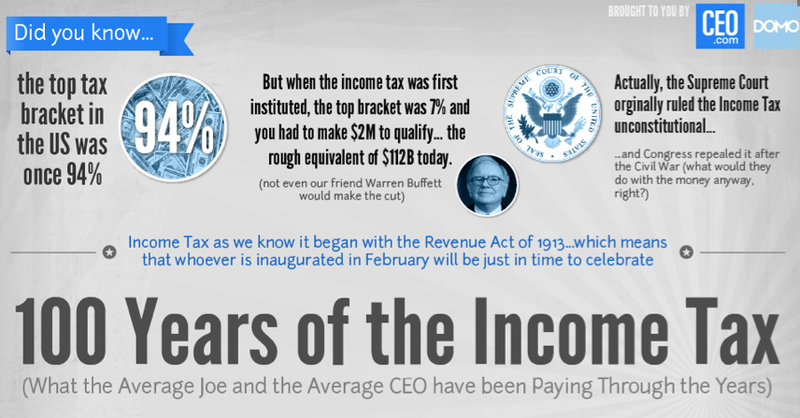 We began by watching The 100 Anniversary of the Income Tax video on the Tax History website produced by Tax Analysts. This generated lots of questions, particularly with regard to the percentages people were asked to pay at different points in history. Most knew that taxes have been around since civilizations began, but many did not understand how they exactly they worked. Boy, were they surprised. It was worth taking a small divergent approach to include such an important aspect of our economy into our students' learning. 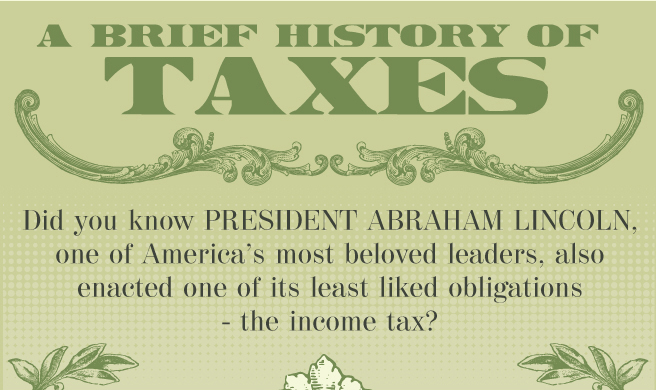 It guaranteed that they were more aware of why "tax day" is not exactly a favorite on the calendar. With eyes wide open, they learned a lot more than they realized. We are so excited about the sketchnotes in this post by our second grade students. 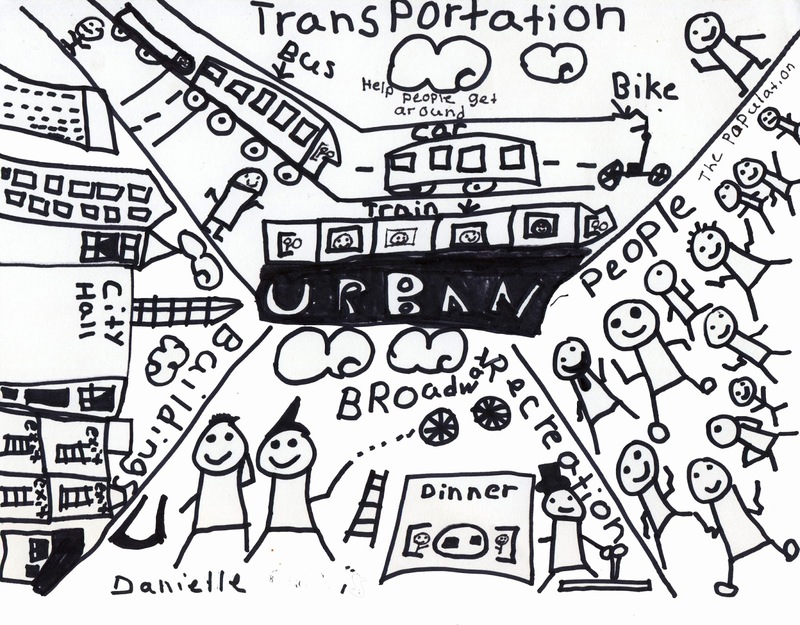 Our innovative colleague and friend, Stefani Rosenthal, was thoroughly intrigued by the process of visual note-taking and wanted to try it to see how this would help reinforce her students' understanding of different types of communities. Her forward-thinking approach and willingness to collaborate in trying something new paid off in helping her students learn. Without making it too complicated, we gave the students the basics about using words, images and design to arrange their pages. Essentially, we wanted them to understand how the verbal and visual components worked together to explain the information. 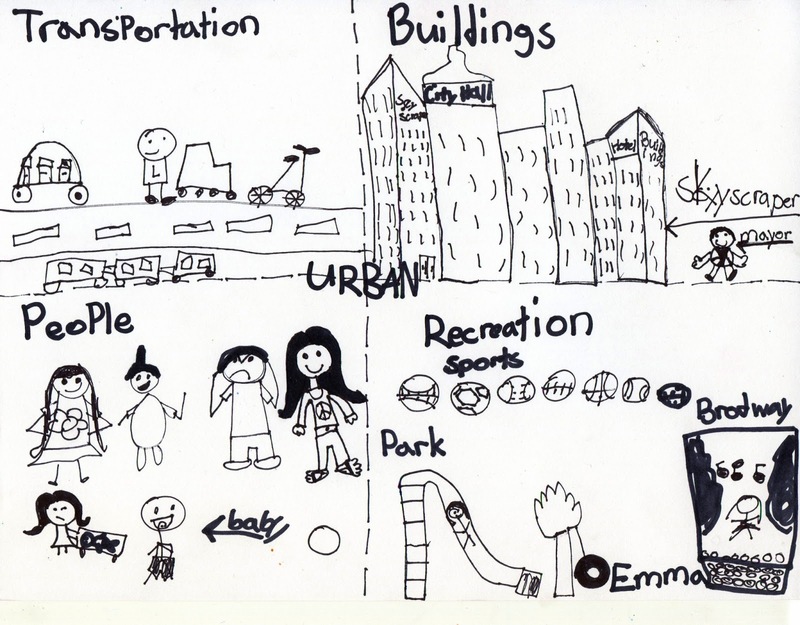 Since this was their first attempt at visual note-taking, it was important to give the students an organizational structure. Even though they were given some guidelines, we provided plenty of options. What we did not want was a strict set of rules to make the students do it all the same way. Visual note-taking is personal. Choice and decision-making as to what makes sense for each way of learning are keys to the process. It defeats the purpose if the outcome is scripted. Design and layout were up to the students. It was important for them to take ownership of the information and to display it in a way that made sense to map out their knowledge. Perhaps the most amazing thing to watch was the sheer quietness that overtook the room as they worked on their pages. You could have heard a pin drop. The kids' concentration on the process of creating their pages was truly astounding. At the end of the lesson, they were so excited to discuss their work, and they easily shared their ideas to demonstrate their understanding of what they learned. They not only loved the visual note-taking process but also had fun doing it, and the content stuck. 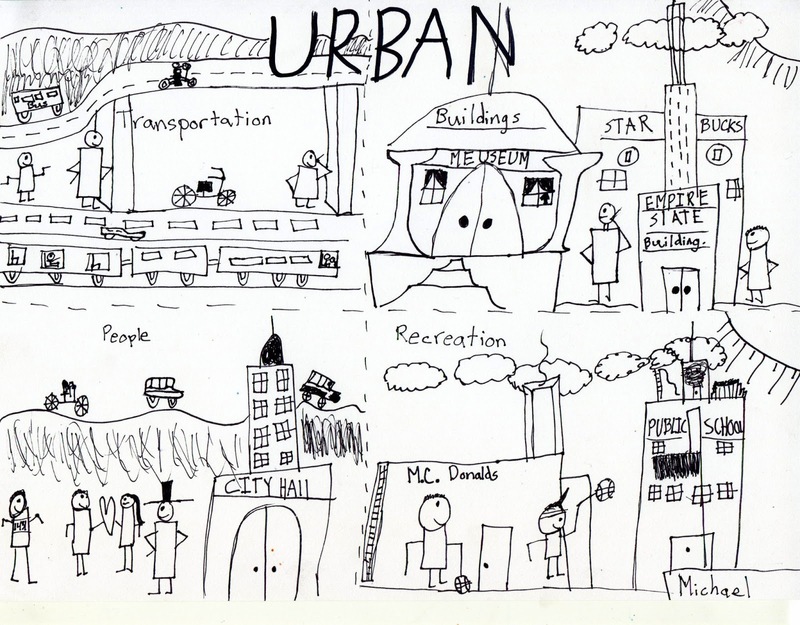 The best part was that the students went home that day talking about sketchnoting. Once again, we couldn’t ask for more as teachers. We are in the third year of our fifth grade entrepreneur program, and with each undertaking we get more inspired by our students’ interest, responsibility, and serious approach to the project. Their appetite for the challenge to think like an entrepreneur comes more easily each time. This spring we were fortunate to have as our speaker Leonard Green, who is an entrepreneur as well as an adjunct lecturer at Babson College, which is ranked number one in the world for its entrepreneur program. To have Professor Green, therefore, as a guest lecturer at our school was quite an honor. He was awe-inspiring for the students, and to watch him use college strategies with ten-year-old kids was professional development for us, too. Entrepreneurship goes to the heart of design thinking. Many of our students this year are practicing this idea at its core by identifying a problem that needs to be solved and coming up with solutions. We could not ask for more as teachers. With each new crop of young entrepreneurs, the excitement for the project builds. We truly believe we can raise every learner to think like one. The more we give kids the opportunity to try, the more it reinforces our belief in the process. We’ve had a lot of interest from teachers at our school about incorporating sketchnotes into their curricula, and we wanted to offer a place to start learning just how simple the process of visual note-taking can be. 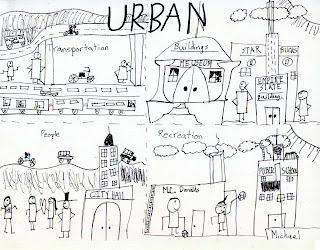 As mentioned in our previous post, Sketchnoting builds a connection between verbal and visual components. It is a personal form of note-taking that activates the brain in the process much the same as doodling. Claudine Delfin is the author of the Sketcho Frenzy website that she began as a creative project to help people learn through visual note-taking. 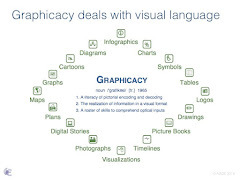 In her straightforward video Sketcho Frenzy: The Basics of Visual Note-taking, Delfin explains the fundamentals of text hierarchy, words as images, and the structure of sketchnoting. We highly recommend visiting Sketcho Frenzy. It provides a wealth of short video tutorials on many different aspects of the sketchnote process including typography, drawing peeps, tree diagrams, and more.